The Frank Venables Theatre is a modern, fully-equipped community theatre available for rental for a wide range of performing arts activities from dance and music, to theatre, children's events and community activities. 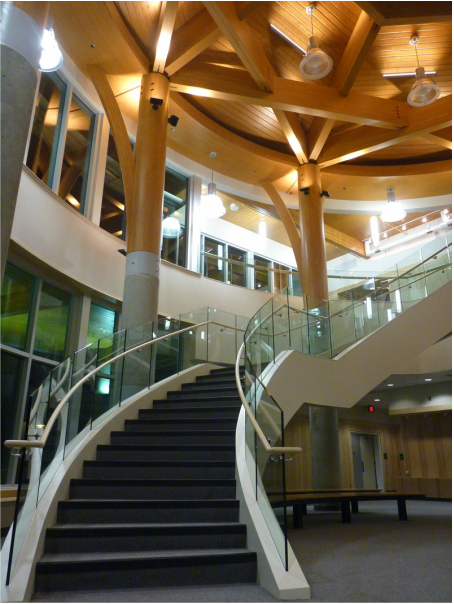 With its spacious lobby and ample stage, the theatre boasts sophisticated lighting and audio systems, The theatre is proud to welcome groups using the new theatre from within the Okanagan and from around the globe. The Frank Venables Theatre opened its doors in February 2014, replacing the historic, much-loved and lamented Venables Auditorium which burnt down, along with the adjacent secondary school, in 2011. Both structures were under renovation at the time.